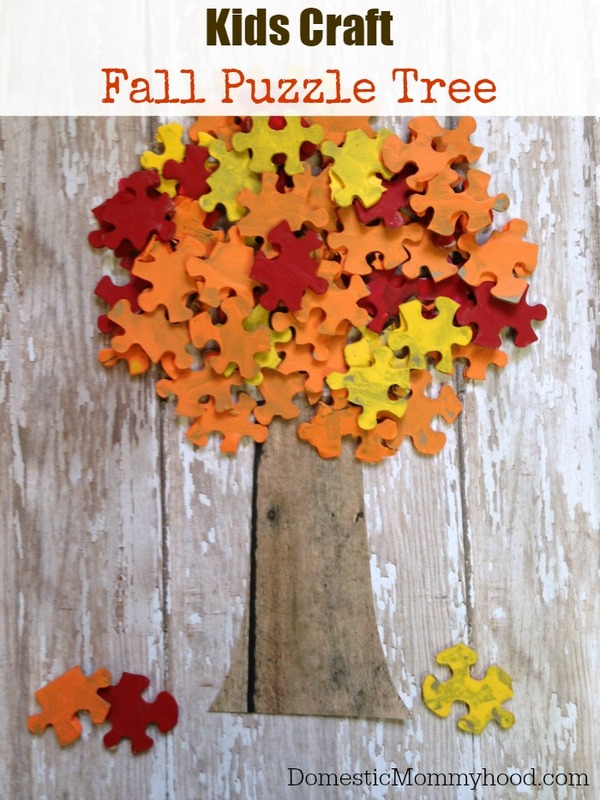 Invite the beauty of fall indoors when you give this frugal fall puzzle tree a try! Using just a few basic craft supplies, you can make your own puzzle tree that is full of the colors of fall. It is the perfect fall craft for classroom parties, science units, or just when you want to get into the spirit of fall. Take a look below at how you can get started making your own. We found our puzzle pieces at our local thrift store for $0.49 per box. You can also buy a puzzle at the dollar store if you wish to use for this project. 1. Begin by placing the puzzle pieces on newspaper. It is easier to paint the underside of them as opposed to the design side. The color sticks best this way. 2. 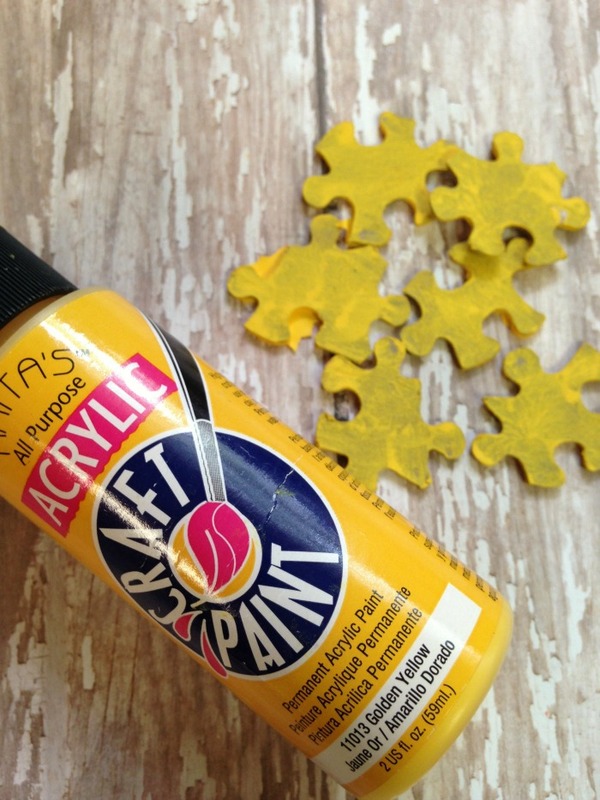 Start applying paint to the puzzle pieces until they are well coated. Use your three colors so they really resemble fall leaves. Allow a good hour for them to dry. 3. While the leaves are drying, cut out your tree trunk. We used brown scrapbook paper that had a wood design on it for this step. Glue the trunk onto some white scrapbook paper. 4. Once your puzzle pieces are dry, you can apply them to the trunk. Just add some craft glue under each one and press it to the paper. 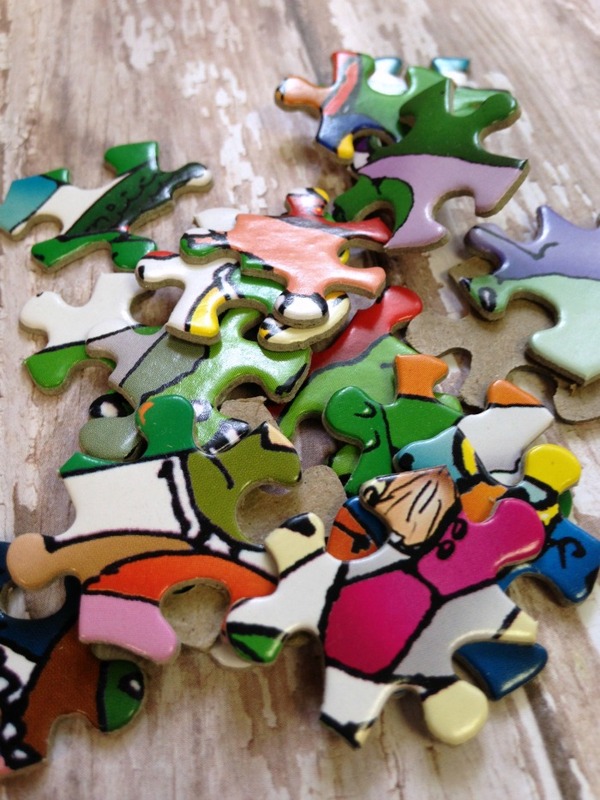 Arrange the puzzle pieces so they offer some variety in color. Your puzzle tree craft is now complete. The finished product looks like a colorful fall tree that is chock full of vividly colored leaves. How cool is that? Gather your supplies and give this frugal fall craft a try! This is such a wonderful Fall craft idea. I will pin this to my Fall board! So cute and fun! My kids would love this! Pinning! I love this idea. I remember when my daughter made a wreath from puzzle pieces. Still one of my favorite things! Thanks for linking to the In and Out of the Kitchen party!